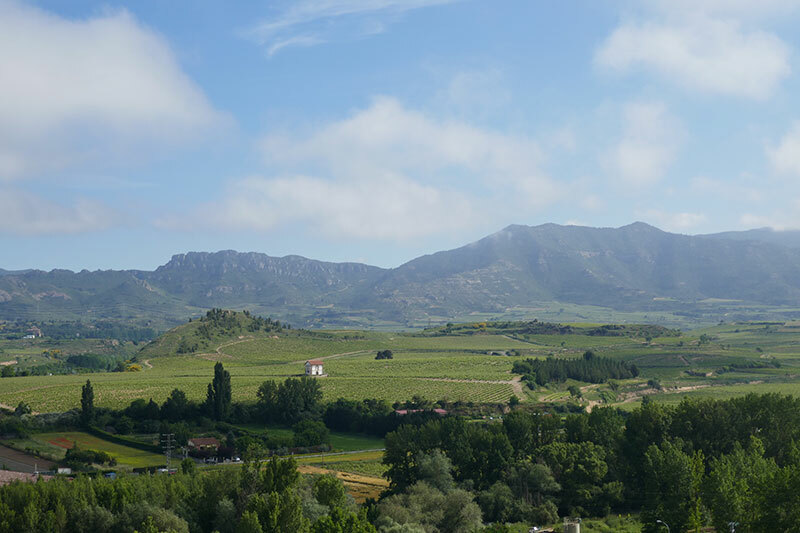 This is a guide to visiting the wineries in Haro, Spain, where we will introduce you to the wine capital of the La Rioja region. Here vineyards can be seen throughout the Ebro Valley, all laid out perfectly in their long rows of green vines. The town of Haro has become the epicentre of wine, wineries and gastronomy. 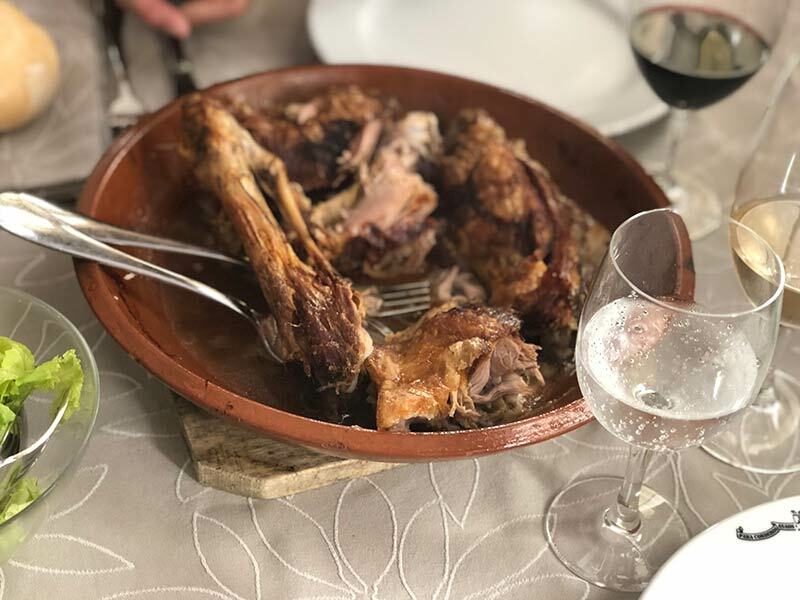 Haro in Spain has become a very popular weekend getaway, or a wine pilgrimage for visitors, because it is all about the wine of the La Rioja region. 3 How to get around Haro, and more importantly to the wineries of Haro. 5 Do I need to book to visit the wineries in Haro, Spain? 8 Another tip about visiting the bodegas of Haro. 17 Must do in Haro, Spain. 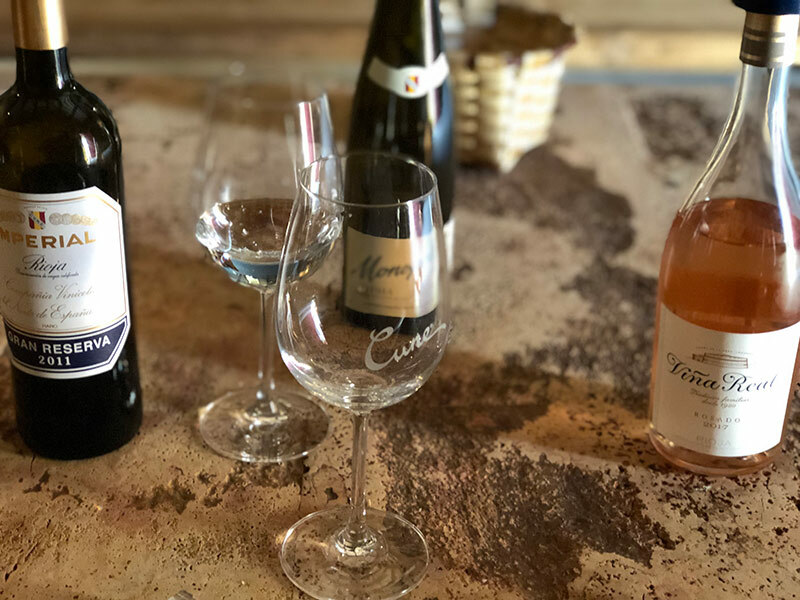 Everything in Haro is about the wines, from the street art to the sculptures, the wine museum, to the food, and of course to the many wineries in Haro (pronounced ‘aro’). Wine is a primary industry in Spain, and one they are very justifiably proud of. We can attest to the fact that the wine is very good. We had no issue doing this research for you. Getting to Haro is easy. Renting a car is the best way to get to Haro, and the roads are good (don’t worry, you don’t need to drive to the wineries, as I will explain). Bilbao Airport is 60 minutes from Haro, and Madrid is a comfortable 4 hours away. You can read more about visiting Madrid here. How to get around Haro, and more importantly to the wineries of Haro. 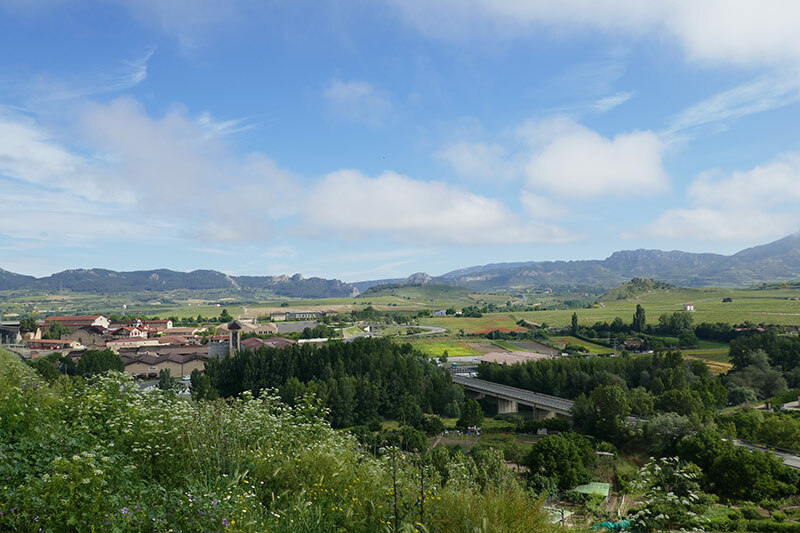 There are over 500 wineries in Haro and La Rioja, but many of them are in the township of Haro itself, and many of the very popular wineries are on your doorstep. 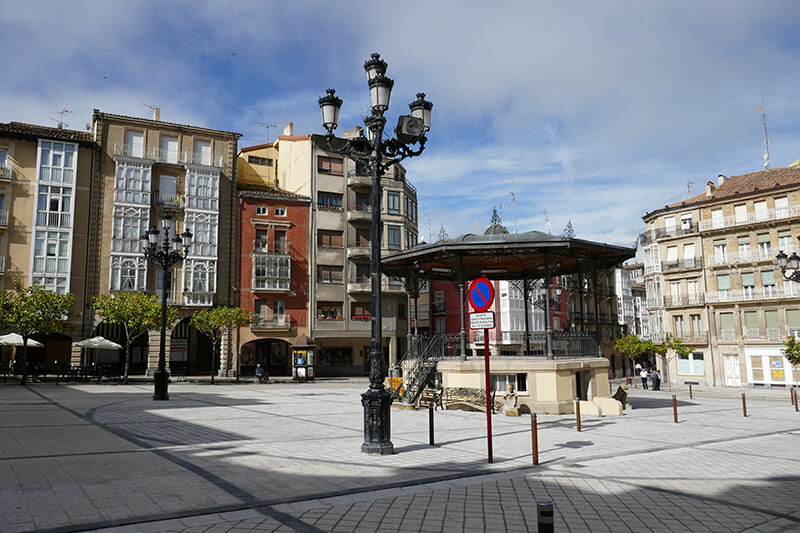 Staying in the centre of the town is a very strategic move for visiting the wineries of Haro, Spain. We will recommend some hotels later in this article. 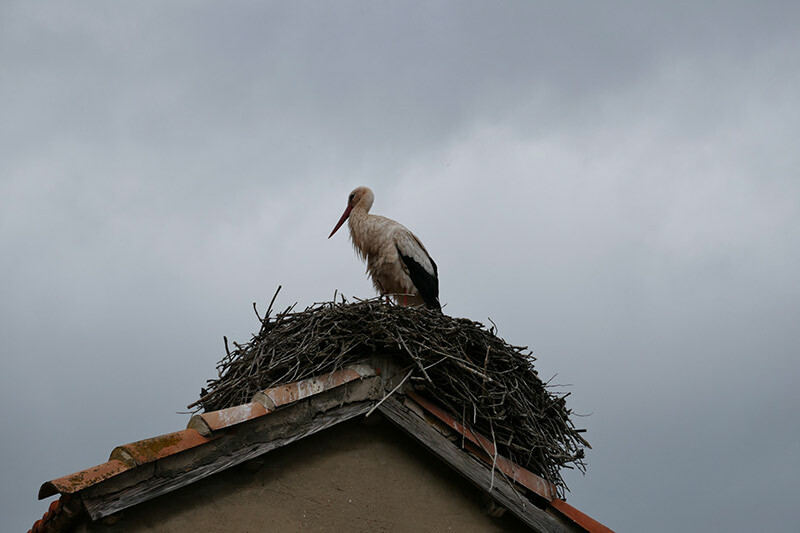 Wineries are called bodegas in Spain, and you will see this all over Haro, La Rioja and Spain. Our tips for visiting wineries in Haro, Spain is to walk to them. 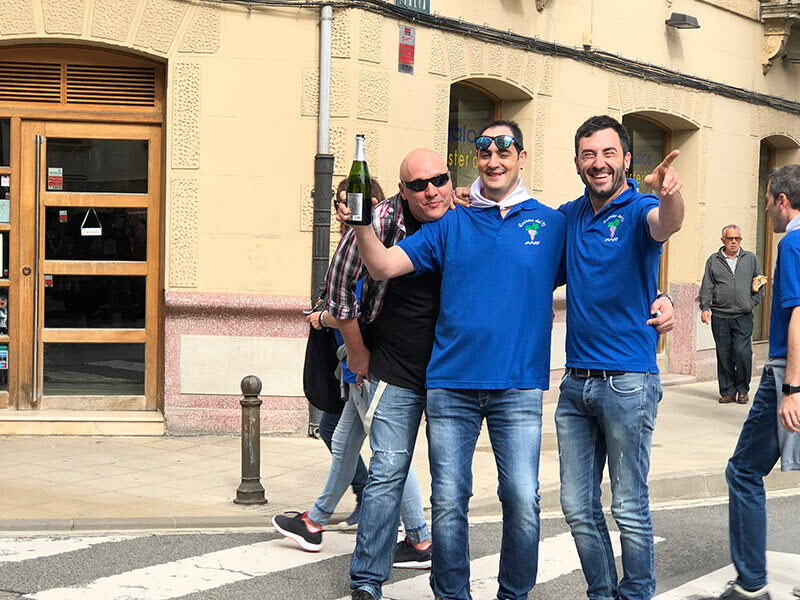 We thought that we may need to take a formalised tour to explore the wineries, but as the majority are a very short stroll across the River Tirón Footbridge, so there is no need for a designated driver so to speak. 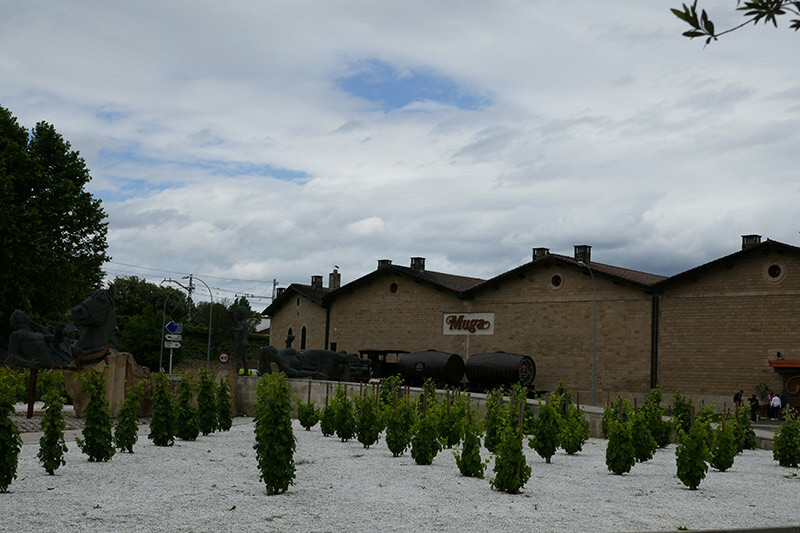 You can very easily walk to many of the wineries like Muga, CVNE, Bodegas La Rioja Alta, Bodegas López de Heredia Viña Tondonia, and Bodegas Bilbainas and more. Do I need to book to visit the wineries in Haro, Spain? Our hotel told us we would need to ring or email to visit the wineries. When we were walking the first afternoon, we crossed the bridge and saw that the CVNE winery/bodega was open. We went in to book, and the lady asked whether we wanted a tour of the facilities, or to just sample the wines. We replied that we just wanted to sample their wines, and that was it. She welcomed us, and we stayed and sampled some amazing wines of the CVNE, and learned a lot just talking with her. If you want to take a tour of the winery facilities then yes, you need to ring or email the winery to book a time. The people speak very good English at the bodegas/wineries, so they will understand you. However, if you just want to just sample the wines of Haro, Spain, then just walk in off the streets. This is a little different to the wineries in Australia, where you can sample every wine from the cellar for free, albeit small tastings. Read about our latest winery tasting in Western Australia, and it was good. Here in Haro, Spain you pay per tasting, and yes, they are a much more generous tastings than we get in Australia. Generally, you will pay per the quality of the wine. The quaffing wines were about 1.50 euro, while the top shelf premium wines were about 4 euro. 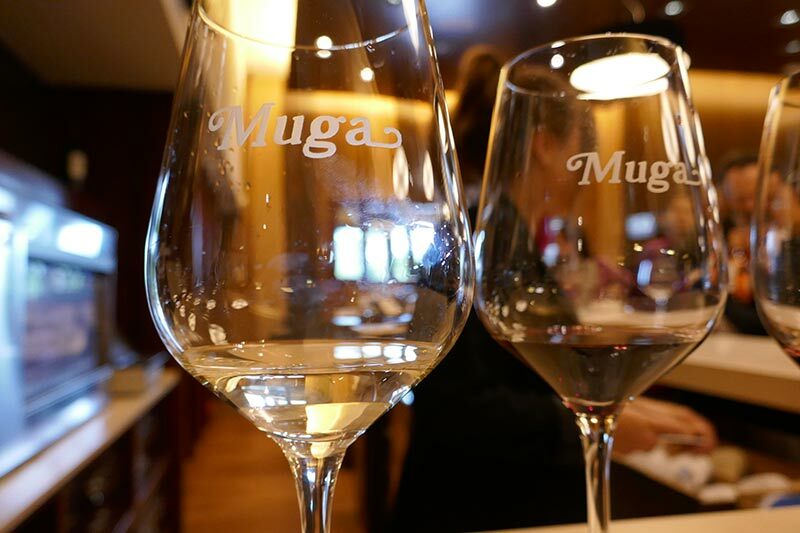 A flight of 5 different wines at Muga, was 4.50 euro. Cheaper than some of the restaurants actually. 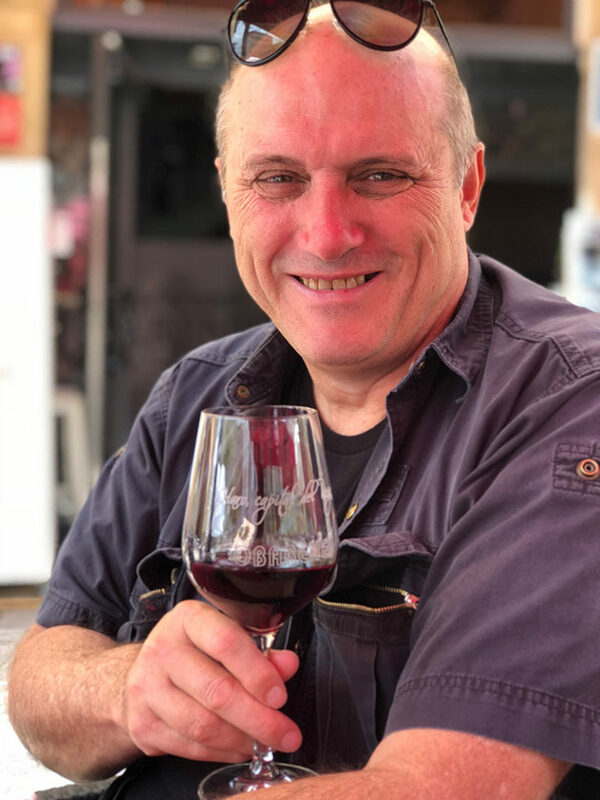 You will find that even though you might not have done a wine tour, the cellar masters are very happy to share their viticultural knowledge with you. It hardly seems worthwhile booking a tour of the facilities in this case. However, if you have not been to a winery and explored behind the scenes, or really want to know more about the production of wines in La Rioja, then you should do at least one tour. Another tip about visiting the bodegas of Haro. You will be surprised but you really only need to try and do two or three wineries a day. Because they are so interesting, and their tastings so generous, you would be hard pressed to do more. La Rioja produces 90% of red wine and produces the most red wine in all of Spain. The other 10% is white wine and rosé, and I can vouch that the white wines are excellent, as Gordon can vouch for the reds. 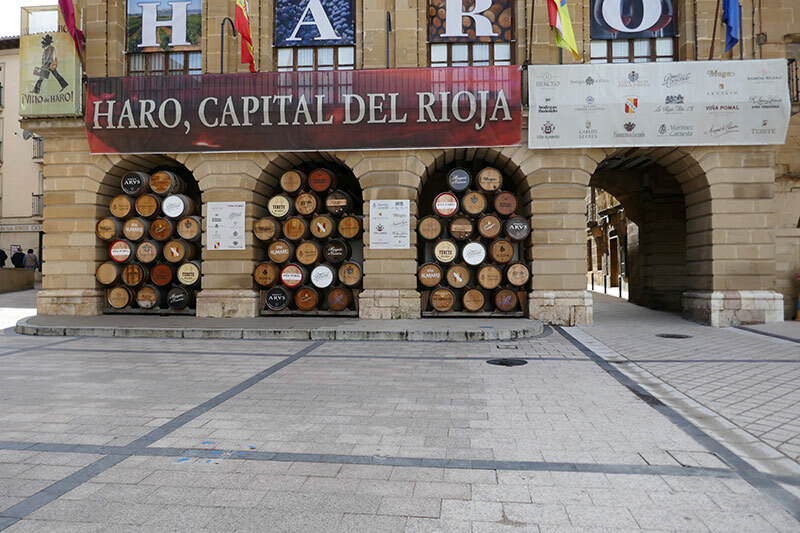 Visiting Haro in Spain is a very good idea if you like vino. It was the Romans who introduced vine cultivation, but it was in the 19th century when the wine industry of La Rioja and Haro really started and one that would see them recognised in 1925 as one of only two Designations of Origin in Spain. This means that the wines meet certain standards of authenticity and are approved by the industry and by the European Union. Rioja is the most famous out of all the DOs (designations of origin) in Spain, and one of the two DOCa in the country, the other being DOCa Priorat. It is all to do with the perfect alignment of the climate, soil, and the varieties of autochthonous grapes, or indigenous grapes which grow well in the Haro area of La Rioja, Spain. People told us that the winery tour was outstanding, taking you into the cellars and explaining the production of wine in La Rioja. Email them in advance to schedule the tour. We were there later in the day and just did the tastings, which we thoroughly enjoyed, purchasing a few wines also. 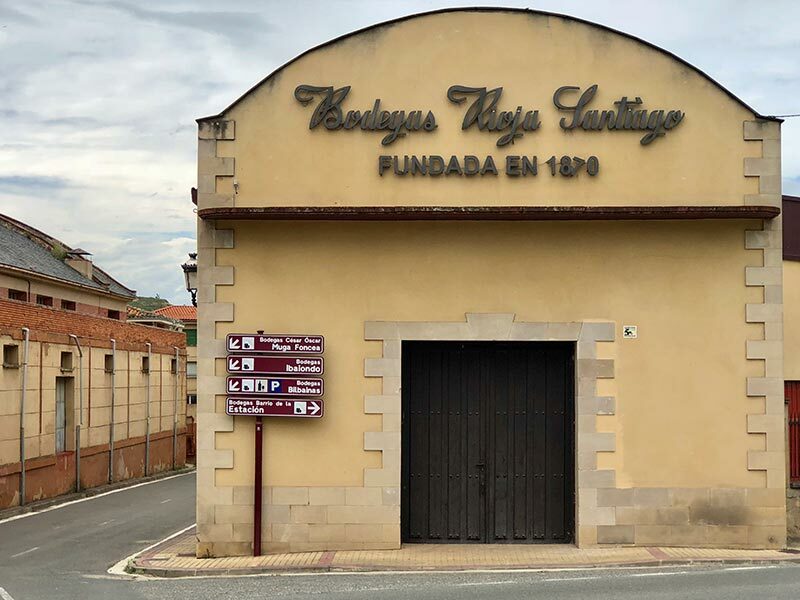 Bodegas Muga is located in the historical Barrio de La Estación in Haro. The bodega is two centuries old, built mainly of stone and oak, yet it is also very contemporary. The old and the new marry harmoniously. This is where you can sample a flight of their top 5 wines. The wines were laid out on coasters that gave all the details of each wine, though the cellarmaster explained more as we tried each one. This was a very pleasant experience. Bodegas Rioja Santiago is the second oldest winery in La Rioja, in Haro. It is one of only three wineries in the world that, due to its age, who are permitted to use the word ‘Rioja’ on the label. 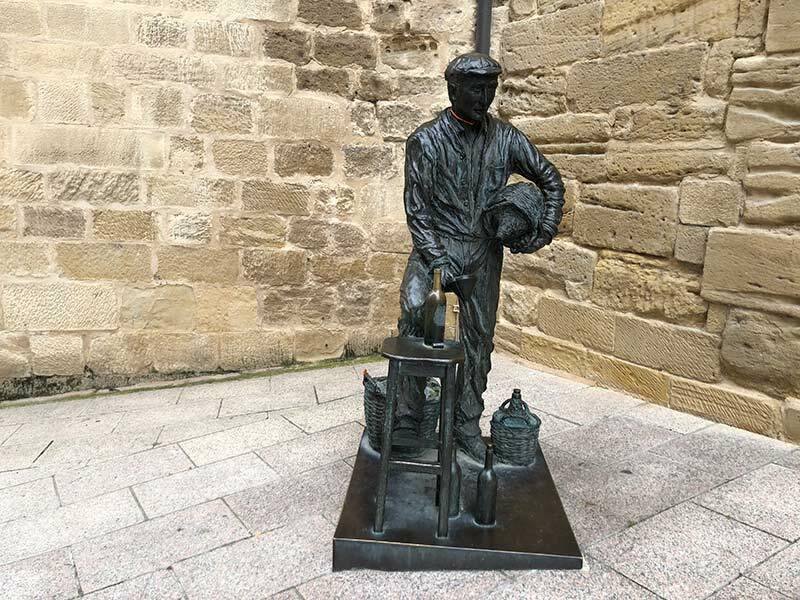 Nowadays Rioja Santiago is a modern winery, but the philosophy that surrounded the wines for more than 100 years has not changed: ‘producing the highest quality Rioja wines’. The oldest is Bodegas Lopez de Heredia Vina Tondonia, which opened 141 years ago and specialises in white wines like, López de Heredia. The waitstaff bring the clay dishes to the table and pull the tender meat apart in front of you. Match this with a La Rioja wine, and you will be in for a very good time. Great friendly service also. There can be a long wait to get into this very popular restaurant close to the main plaza, Plaza de la Cruz. We got lucky and walked in. Wine Tourism Spain recommends the following. Located in the main plaza it is always a worry to go the cafe, as you immediately think tourist trap. This was a convenient café to have breakfast and wait for the locals to wake up, which is generally around 10am. 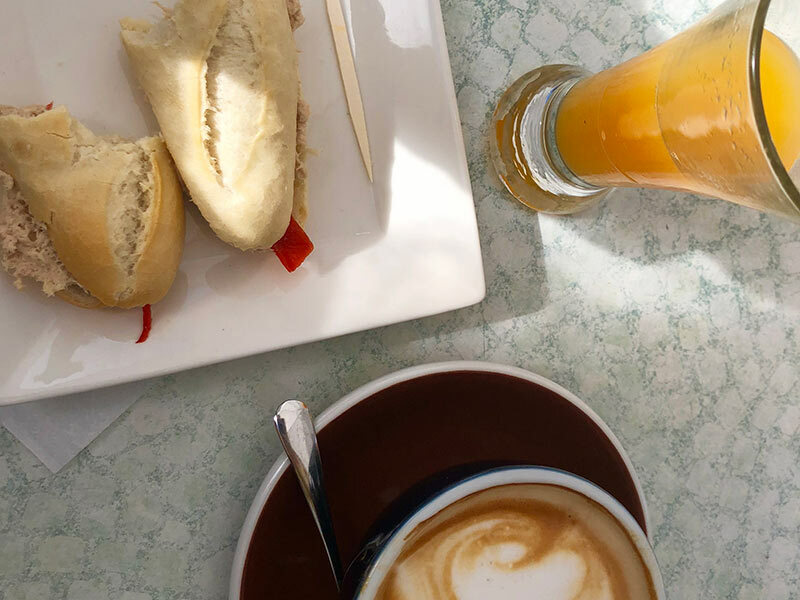 Sit outside and watch the world go by, and enjoy a bocadillo with jamon, fresh orange juice and coffee, which will cost you some loose change. Think Songkran in Thailand, but rather than water, you fight with wine …. And red wine at that. The Haro Wine Festival is held on the 29th June, which is San Pedro day. The highlight of this festival is the Batalla de Vino, the Battle of Wine. It starts at 7.00 a.m. with a procession of locals all wearing white and red scarves. Everyone carries jugs full of red wine… ‘cause they are going to throw them at you, after a sip of more. The procession is led by the town’s mayor riding a horse. Everyone walks or makes their way by any means to the top of the Cliffs of Bilibio, and a mass is celebrated. After the mass the Batalla de Vino commences. The aim is to be covered from head to toe in red wine. The people wander down to the Plaza de la Paz at midday and it continues. 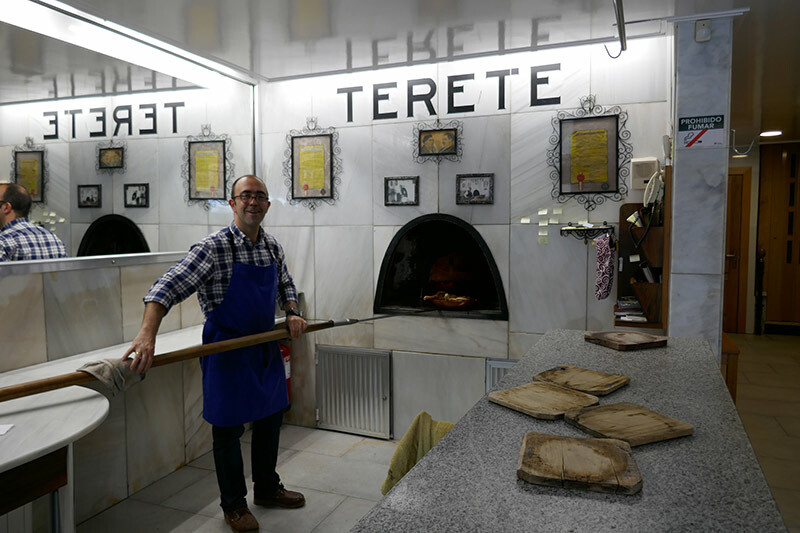 When you are not visiting the bodegas of Haro or eating in Haro there are other things to do. They like festivals in this little city, and while we were there we were woken by bands walking up and down the streets. This was a celebration for the Day of La Rioja. 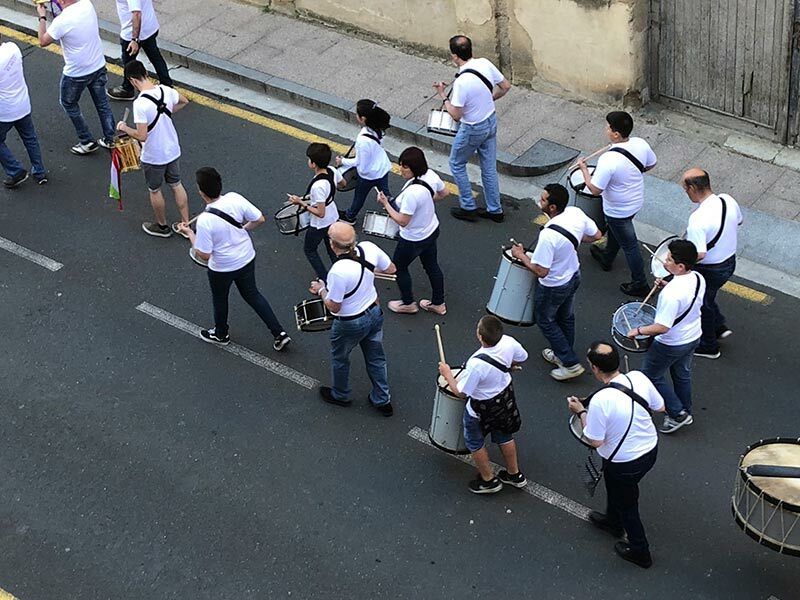 The Day of La Rioja (Día de La Rioja) is an annual public holiday in the Spanish autonomous community of La Rioja, celebrated on June 9. 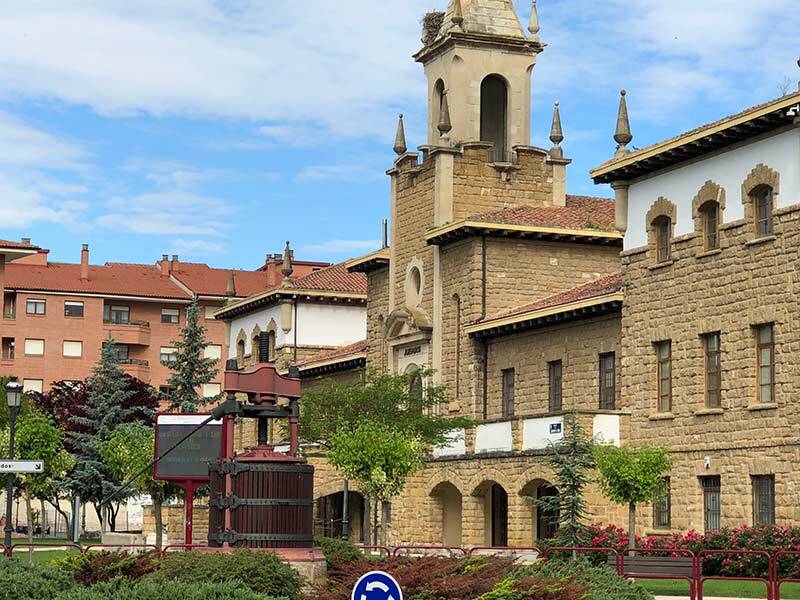 It marks the anniversary of when the autonomous community of La Rioja’s statute was approved on June 9, 1982. They started at 7am and finished after the fireworks at midnight, and it was fun. 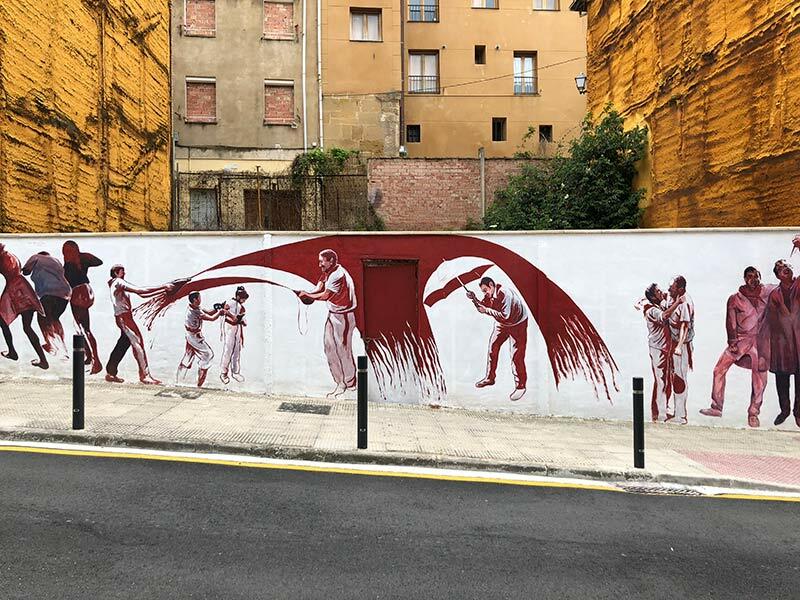 The people of La Rioja and Haro do know how to celebrate. 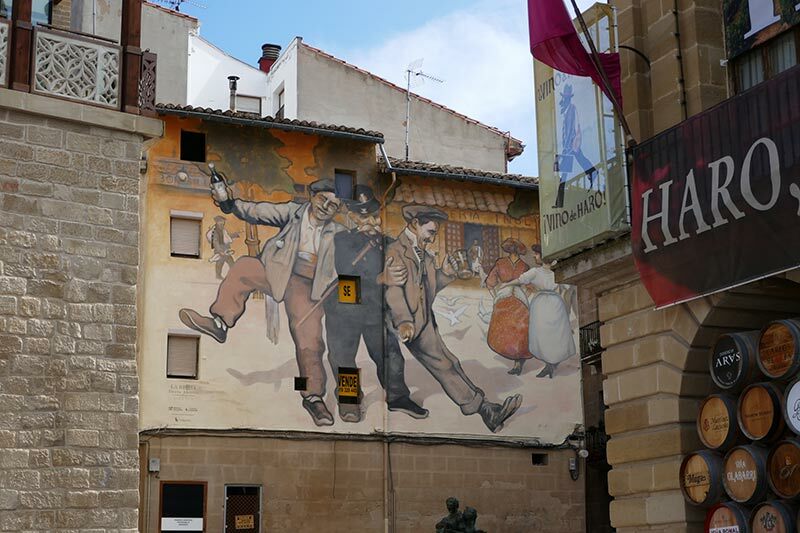 Must do in Haro, Spain. – Explore Casco Viejo, the Old Quarter, and enjoy other wines at one of the tavernas. – Walk around La Herradura (the Horseshoe) of Casco Viejo and take some photos of the interesting architecture, and the wine themed sculptures that show the history of wine making in Haro and La Rioja. 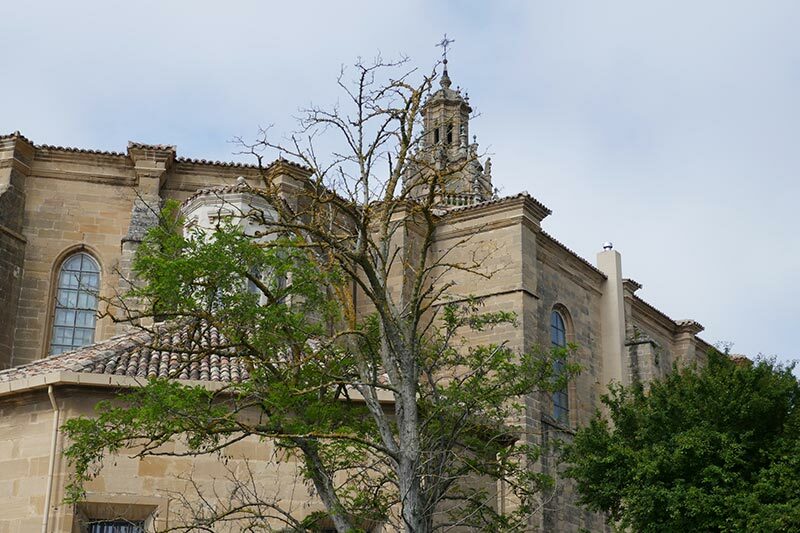 – Visit the Church of Santo Tomás, which overlooks the Old Town. If open, go inside and be blown away by the ornate interior. Check for opening hours. 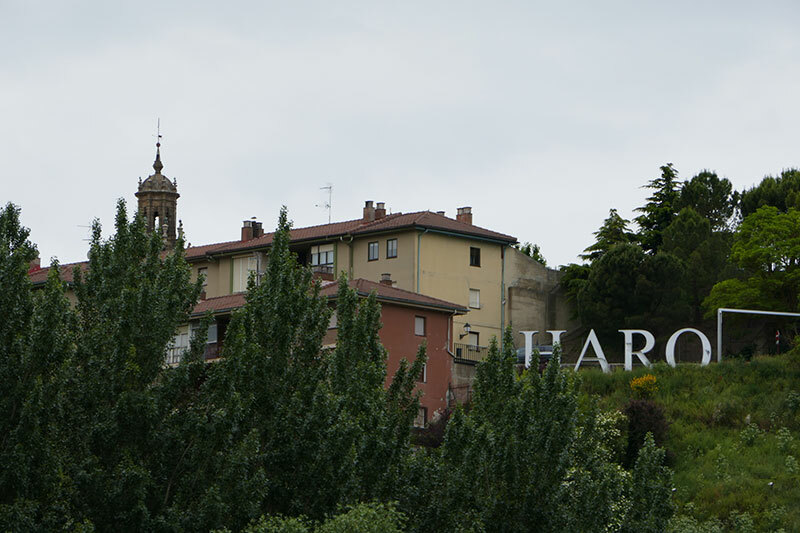 – Find the HARO sign that overlooks the vineyards. Sort of like the HOLLYWOOD sign. – Just walk around Haro, Spain and let serendipity guide you. 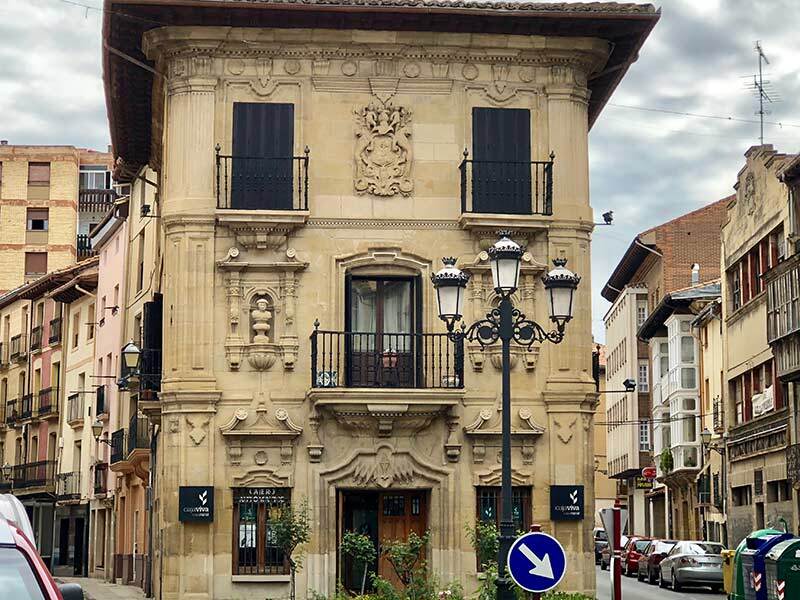 Lovely historic hotel, it was originally a 14th century convent, which also has an excellent restaurant, featuring Riojan cuisine in the El Claustro de Los Agustinos restaurant and bistro. Great central location yet located in a quiet street. The hotel is located in the centre of the city. Get TripAdvisor Reviews and latest prices here. Central location, so great for visiting the bodegas of Haro. Spacious apartment, with kitchen. Only a few minutes’ walk to the central plaza and has parking. 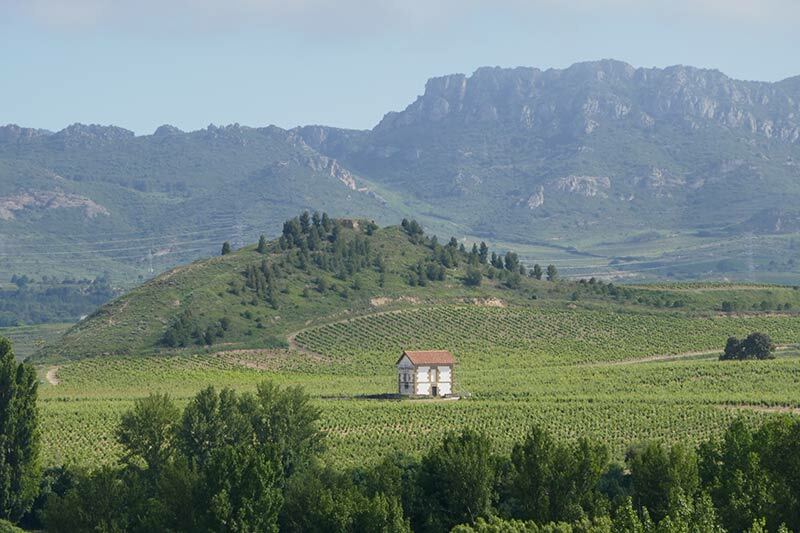 We hope this Guide to Visiting the Wineries in Haro, Spain helps you to enjoy this very special part of northern Spain, and that it helps you to enjoy the magnificent wines produced in the La Rioja region.